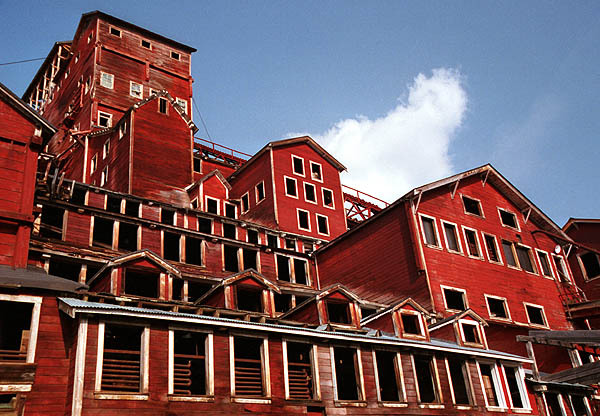 Close up of the old mining buildings in Kennicott. Operating 24 hours a day from 1911 until 1938, the mine was immensely profitable despite its remote location and $23 million construction cost. While a typical copper mine in the Lower 48 yielded 2% copper ore, the Kennicott veins averaged 13% with some up to 70%. The buildings are now being preserved by the National Park Service.